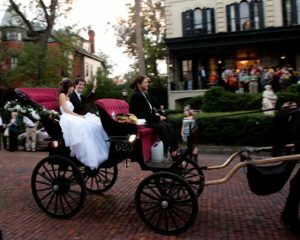 You will be picked up by horse and carriage at a location within the Historic District and taken for a romantic ride through the City. 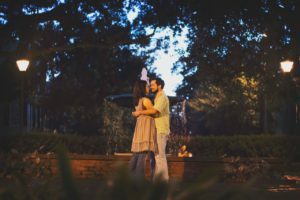 Your driver will narrate a romantic, 45 minute tour, which will include some of Savannah’s greatest love stories. Near the end of your tour we will deliver you and your bride (or groom) to be, to one of the many squares that have a fountain. Don’t worry, we have a great excuse prepared for you to get off the carriage. 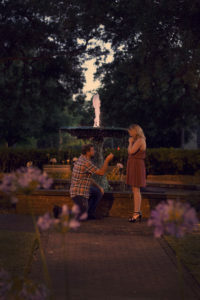 Now you may propose in front of one of the City’s iconic back drops! 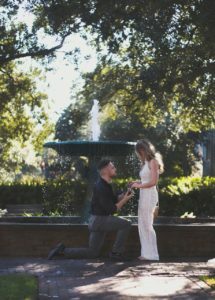 As you propose, we will have a photographer capture this priceless moment in real time for you, but from a discreet distance, so your fiancé to be, will be completely surprised! Proposal packages start at $310. You can read more about the details here or give us a call & we’ll guide you through! Ready to skip ahead to the good stuff?? Use this package for your elopement!! 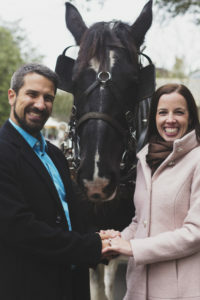 Have you always envisioned arriving to your wedding in a horse-drawn carriage? Maybe pulling away from one of Savannah’s remarkable churches or squares following your ceremony? 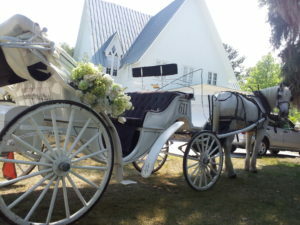 Make your wedding day or other special event even more memorable with one of our beautiful carriages. Our formally attired driver will arrive in a beautifully decorated carriage of your choice and provide unique transportation to your destination. Wedding packages start at $250 per hour (plus gratuity). Need some help working out the details? Give us a call! We’re happy to help you work through your options!